The murder of a soldier in Woolwich was a tragic event last night. Our prayers are with his family who must be really suffering. It is also sad to see a backlash from small extremist groups against the Muslim Community. Now is the time for all communities in UK to appreciate the genuine Islamic contribution to UK. 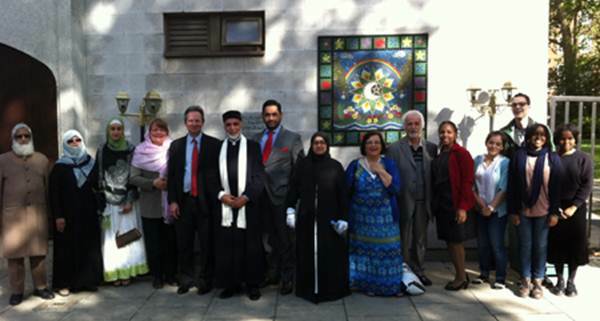 The Muslim community should be supported and valued as a vital part of the UK. It is through the democratic process, that the role of the UK soldiers who represent us all, is decided. 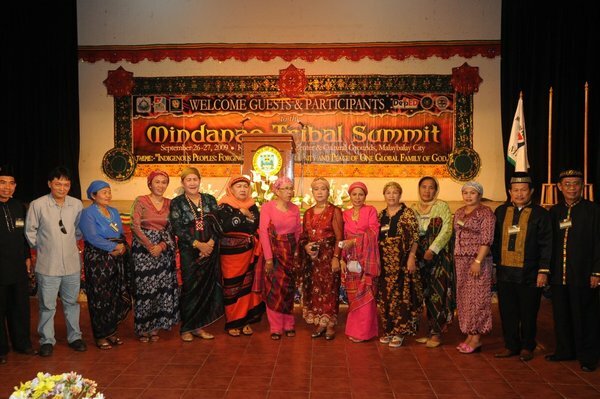 Our strength and harmony is through the inclusion of all communities in the social and political fabric of the nation. That is a daily responsibility for all of us that now has added importance. 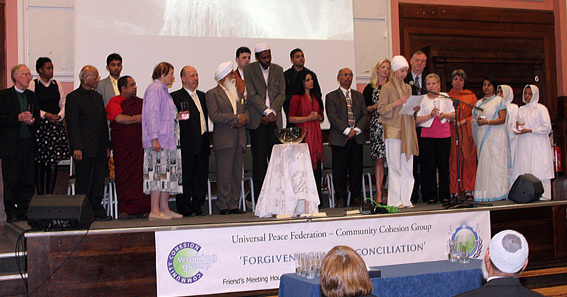 The Universal Peace Federation, along with many other groups, promotes interfaith activity to facilitate mutual understanding and enhance this fabric. We hope that this letter finds you well and that this new-year has been filled with success in your activities and work. 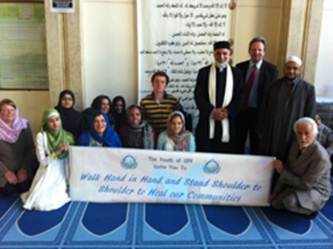 · The first project is a Youth Interfaith Council which aims to bring together young people of all faith backgrounds to foster peace and understanding. 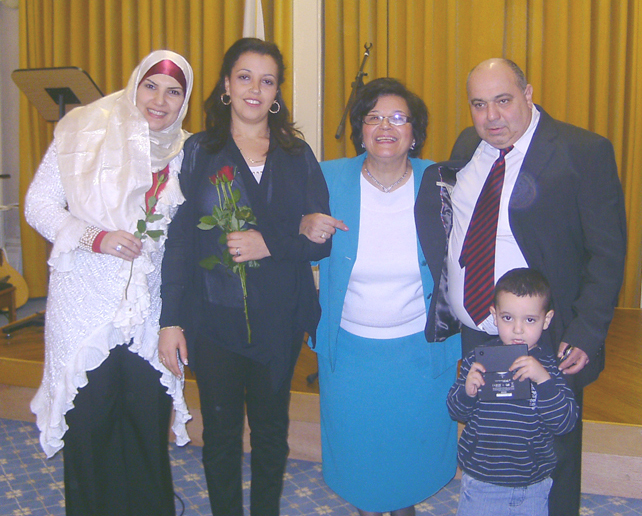 The council was initiated in November 2012 with much enthusiasm from a variety of religious people. It is crucial that this project gains momentum as the voice of young people in interfaith work is currently rarely heard. 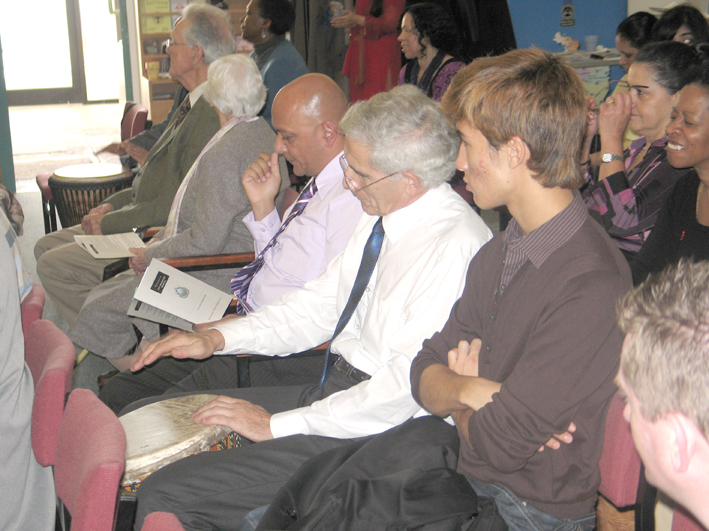 Our young people have a lot openness and passion in working with people of other faiths. This provides a strong basis upon which they can bridge gaps between faith communities and provide solidarity in representing a combined religious voice. · The second project is called the ‘Doing Well and Doing Good’ project. It aims to connect young people to inspirational role models who have attained success in their careers and are currently working for the betterment of society. 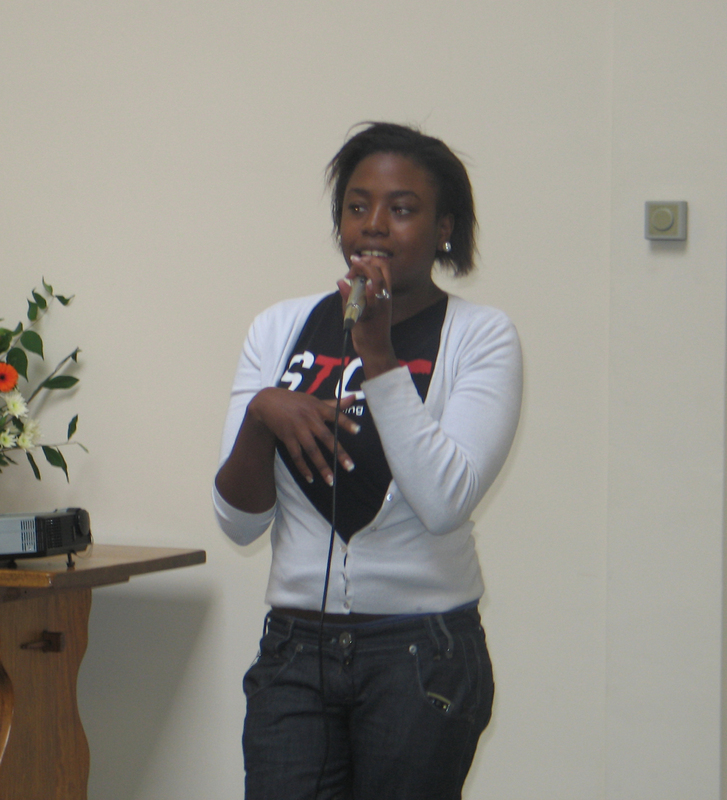 This project was initiated in March 2012 and has huge potential to continue uplifting young people by giving them insights into the personal motivations of such socially conscientious individuals. We run ‘Evening With’ style interviews which give young people the opportunity to interact personally with the role model and to become empowered to do good as a result. 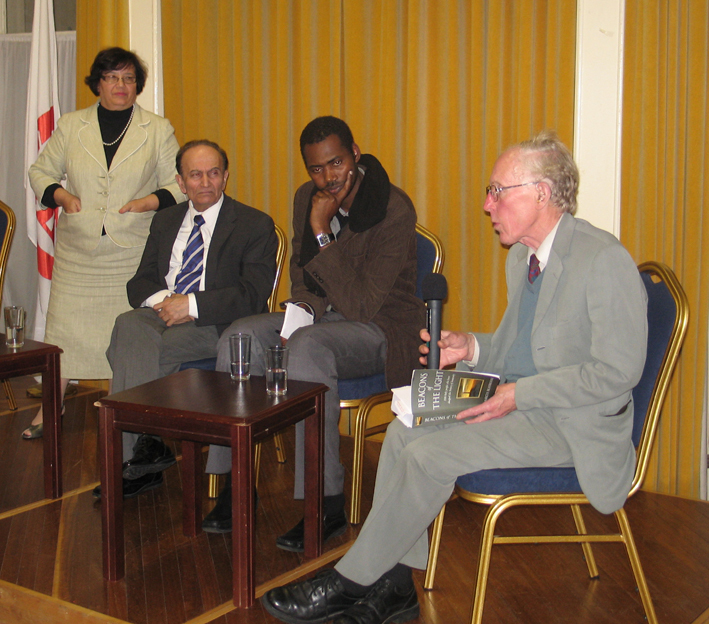 ‘Evenings With’ have included interviews with Sheridan Mungal (business mentor), Rioch Edwards Brown and Ian Brown (Founders of ‘So You Wanna Be In TV?’), Professor Akiko Yamanaka (Photo on Right – Deputy Foreign Minister of Japan 2005-6) and Keith Best (CEO Freedom from Torture). The next will be with former Attorney General the Rt. Hon. 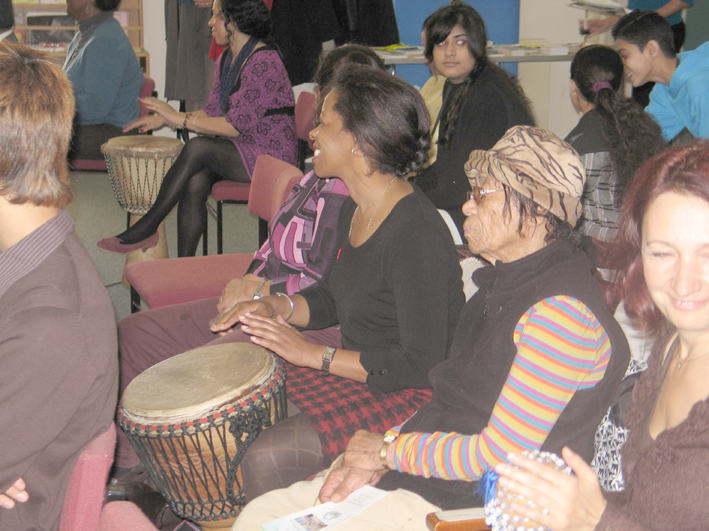 Baroness Scotland of Asthal QC on February 26th. 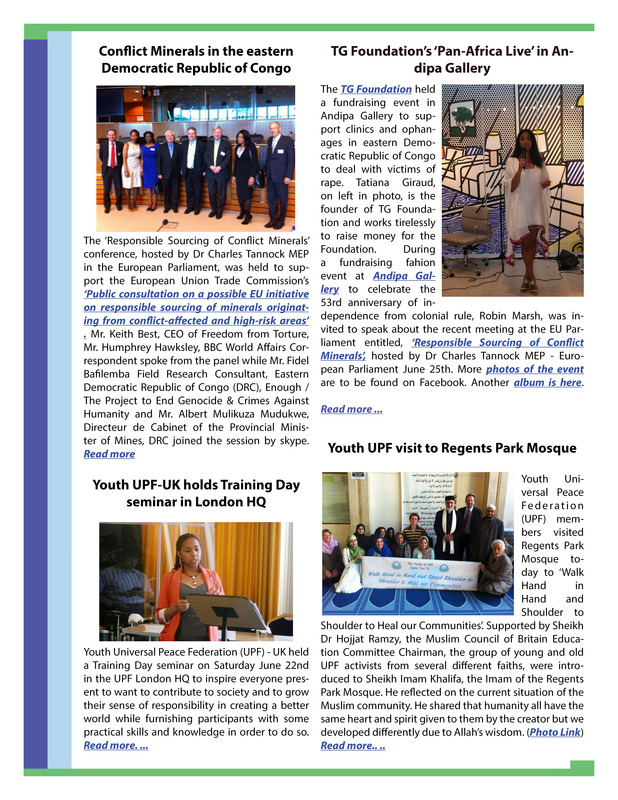 ‘MicroSoft Spark-peace’ working with the organisation ‘Give for Youth’recently accepted Youth UPF’s projects to be have online funding platforms. In order to receive funding for the projects, we are looking for support from members of the public to make a contribution of any size to either or both of the projects. If you follow the links below, you will find more information on the projects which are currently aiming to raise funds for the development of the projects. It would be an incredible support to the team if you could donate any amount to eitherproject. Even a small amount such as £5 would be much appreciated, butplease remember that it is a one off donation you would be making. 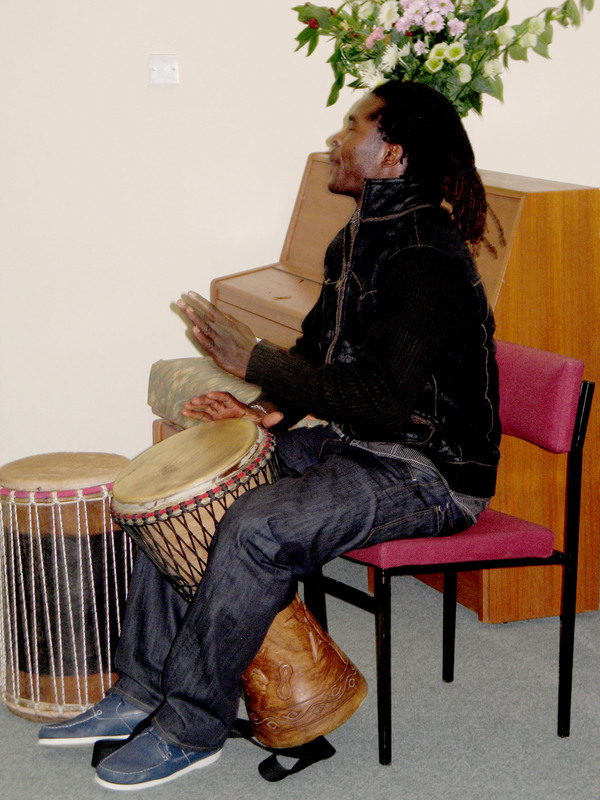 The deadline to receive funding is on the 4th March 2013, so time is running short! On behalf of the Youth Committee, we would like to thank you for taking the time to read this email and would be extremely grateful for any support you can give. Berlin to consider the future vision for Europe. 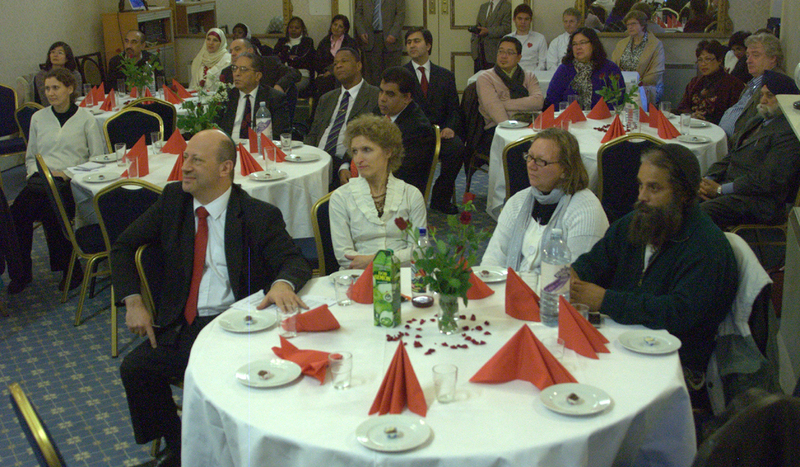 There have been UPF national and local events supporting United Nations Days and initiatives such as Holocaust Day, Global Interfaith Week, International Women’s Day, International Family Day, UN Africa Day, International Peace Day in Oslo’s Stortinget (Parliament) and Human Rights Day. 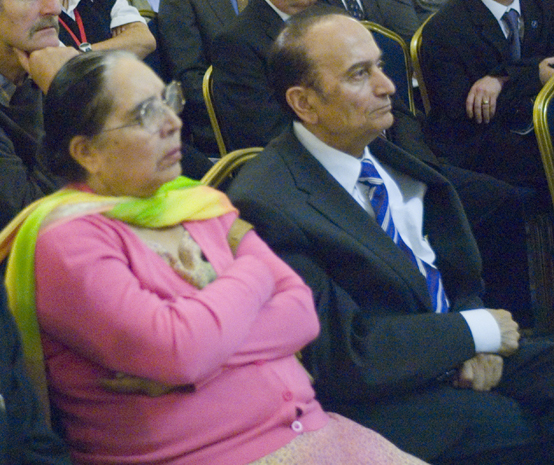 There has been a continuation of the Forgiveness series of conferences that have been chaired by Rev. Dr. Marcus Braybrooke for the last five years including Marina Cantacuzino’s Forgiveness Project in both events this year. 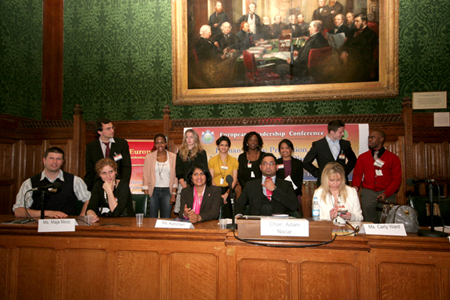 Youth UPF, has made inspiring progress during 2012 developing its own programme of events with the ‘Evening With’ series interviewing inspirational figures, (Keith Best CEO of Freedom from Torture next up on January 30th) conflict resolution and human rights training courses, human rights campaigns and the Youth Interfaith Council. Many of those active in Youth UPF have received the Youth Achievement Award that are presented in an event held annually in July. Your Lordships, esteemed colleagues and friends: Let me start by saying it is truly a great honour and a privilege to have been given the chance to speak before you this evening. Before I start I am actually reminded of something that Lord Parekh mentioned earlier, and that of a concept in Jewish teachings that learning in honour of someone departed, it is as if they themselves have committed a good deed. So I’m honoured to be honouring the memory of Dr Singhvi with this presentation tonight. Next month, Jews all over the world will be celebrating the festival of Chanukah. I hope now over the next few minutes to provide you with an insight into the meaning of Chanukah, both for myself as a Jew, as well as its particular relevance to all of us as members of different faiths living in Britain today. As we look at the world around us it’s hard not to notice the pain and the suffering brought on by poverty, disease, extremism, war and terror. We are only now beginning to emerge from the greatest economic crisis of our time and a swine flu epidemic, two global threats that if anything demonstrate the interconnectivity and interconnectedness of all of mankind. As we look around Britain today on the one hand it is easy to see a society fractured by baseless hatreds, prejudices and intolerance. Yet, as I look around this room tonight I’m pleased to say that I know these challenges can be faced and G-d-willing overcome – knowing that when a small group of men and women, and religious leaders come together in a display of unity, that we are no longer divided by difference, but we are united by our faith. We may not be able to make right all the wrongful ills in the world today, but at least we can try to change one person in the same way as [Iman Dr] Mahmadou [Boucoum] said, for each person is a world unto themselves. By lighting a candle we can at least bring a tiny spark of illumination to a world beset by darkness and confusion. Today, our world may be filled with compulsions to violence, intolerance and hatred, but it is also countered with the unending struggle in the fruition of goodness. The Jewish people know all too well the consequences of such evil compulsions, the challenges brought on by darkness and suffering: For throughout our history we have fought for survival time and time again, we have fought for the right to practice, to pray and to worship: To live our lives as the Torah commands us to. Throughout history when faced with inquisition and pogrom the Jews fought back with an unrelenting spiritual faithfulness. Throughout our exile and wanderings in the wilderness of the Diaspora we cling to the belief of the arrival of Messianic Era and the return to the Promised Land. The festival has emerged as a prime tourist attraction of Varanasi and present a breathtaking spectacle as millions of diyas are lit on the ghats and sent floating the river waters. A large number of people, including Indian and foreign tourist, congregate on the ghats and take boat rides to witness the spectacle. Since the day also marks ‘Kartik Purnima’, millions of Hindu devotees take a dip in the river Ganga. The event is also beamed live on TV and singing and dancing events also take place on various ghats. For Hindus, Diwali is a five day extravagant affair. Dhanteras, the first day, is considered auspicious to buy Gold, household articles and specially utensils for kitchen. On this day, People gift “golden leaf” as it signifies prosperity and luck. Choti Diwali is the day when Lord Krishna killed Narakashura and freed the world from fear, according to the Legend. Laxmi Pooja or the actual Diwali is celebrated with a Pooja dedicated to Goddess Laxmi. Padwa is dedicated to the household cattle, where a pooja is done for them and are fed with goodies. Bhai Duj is a special day for siblings where the Brother visits the Sister’s house to celebrate the day with them. Diwali day starts with an oil bath, after which everyone wears new clothes and sits down for a pooja of Goddess Laxmi. The whole house hold is lit with diyas in the evening and everyone, adults and kids alike play with crackers. Diwali day also sees lots of cashew studded milk sweets and other sweets. 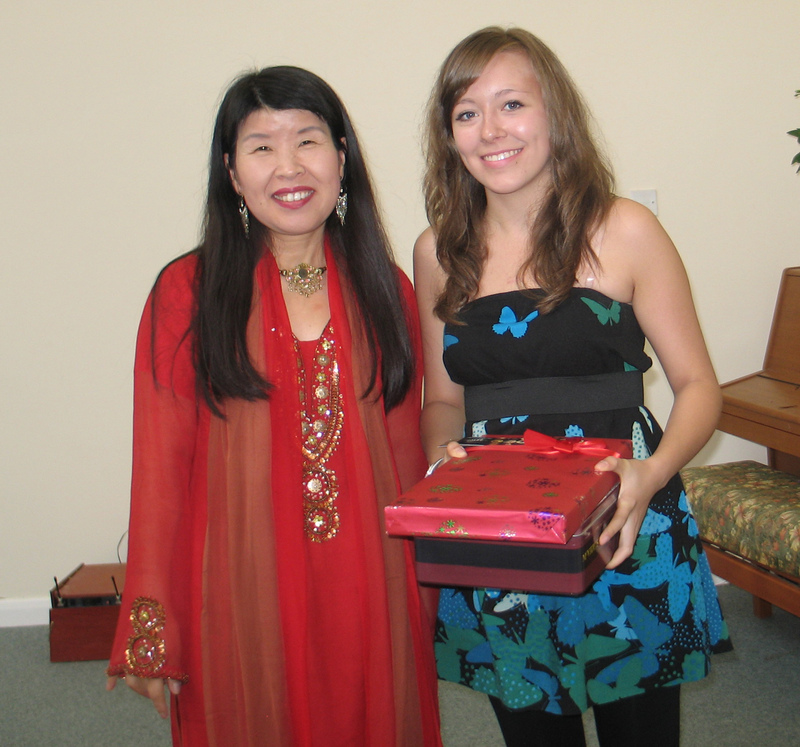 Friends and relatives visit each other to share wishes and Diwali Gifts. It emphasises on the joy of giving and sharing like all other festivals. 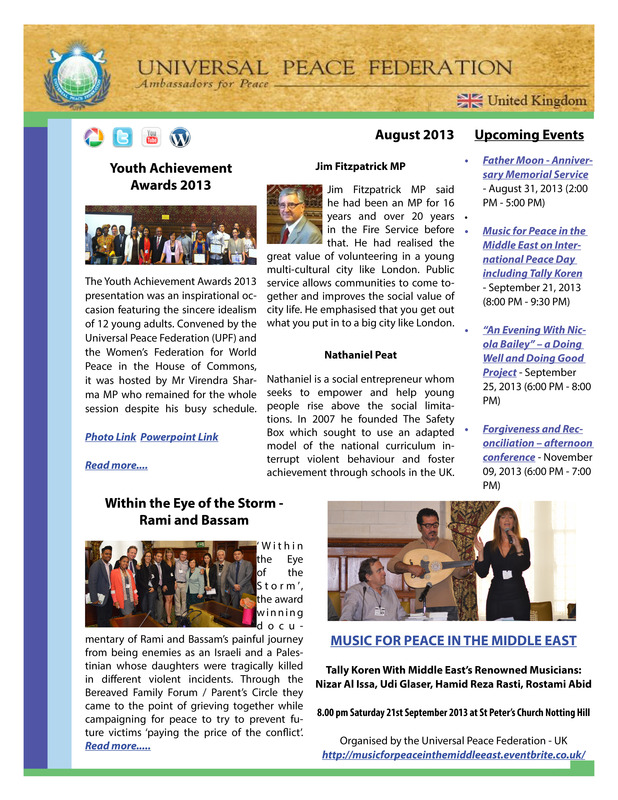 This festival is celebrated not just in India, now but is a global festival. There are some negative aspects to Diwali like incorrigible shopping, needless purchases and vulgar display of wealth which marks every Diwali. All these trends are propagated by market-driven forces. Most Indians put up a spectacular display of blinking lights, fire-crackers and blaring loud music. This is a form of indulgence and is a waste of money while billions of people around us live in abject poverty. It is time we started pondering whether Diwali is just revelry or a very deep-seated faith in addictive consumerism, an urge to possess and an equally inescapable desire to flaunt and display ones belongings. 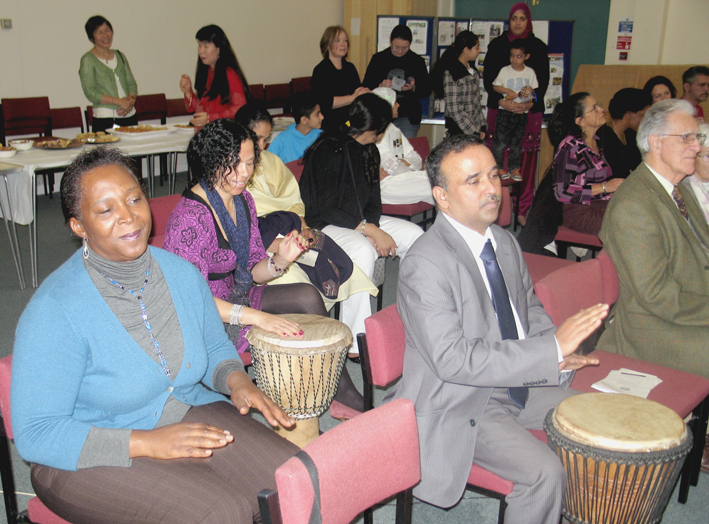 How can we make multifaith festivals meaningful in the 21st century, especially to the younger generation and teach them the rights/wrongs of this world. Our role as human beings is to be a trustee of this planet. While celebrating Diwali, we should ensure that we do not destroy our precious planet but use this festival to improve and enrich our life, heritage and culture. I wonder if some of you have read the article in the Economist of November 7th 2009 issue. In it, the Secretary General of the UN, Ban Ki Moon, said to an audience of spiritual leaders of all faith, I quote, ‘you are the leaders who have the widest, largest and deepest reach. You can make a huge difference in tackling the climate change crisis by linking up faith and green issues and save the planet for future generations. In conclusion, let me say that celebrating festivals including Diwali is one of the greatest uplifting experiences one can have. If you go back in time in your childhood, one of the high points of a child’s life is to attend festivals along with the family, relatives and friends of different faith and religions. It was a constant source of joy, happiness and creativity. It can be a great learning curve for multiculturalism – a recipe for peace, prosperity and a safer future for all of us. 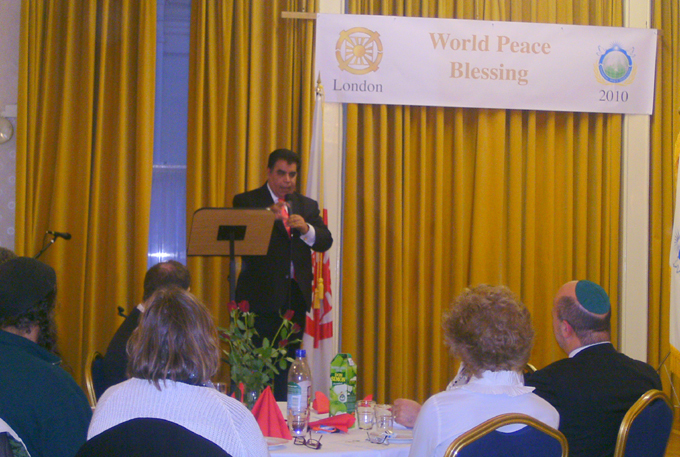 Biography: Vijay Mehta Vijay Mehta is president of VM Centre for Peace www.vmpeace.org , Founding Trustee of Fortune Forum Charity www.fortuneforum.org , Chair of Action for UN Renewal www.action-for-un-renewal.org.uk and co-Chair of World Disarmament Campaign. 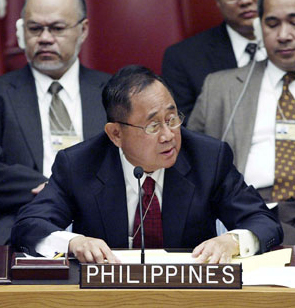 He is an author, a champion for truth and global activist for peace, development, human rights and environment. Some of his notable books are The Fortune Forum Summit: For a Sustainable Future, Arms No More, and The United Nations and Its Future in the 21st Century.His latest book is on Global Warming and is called ‘Climate Change IQ,’ which is available to download free of charge in electronic form from the website www.climatechange365.co.ukHe along with his daughter Renu Mehta founder of Fortune Forum charity held three summits in London in 2006, 2007 and 2008. 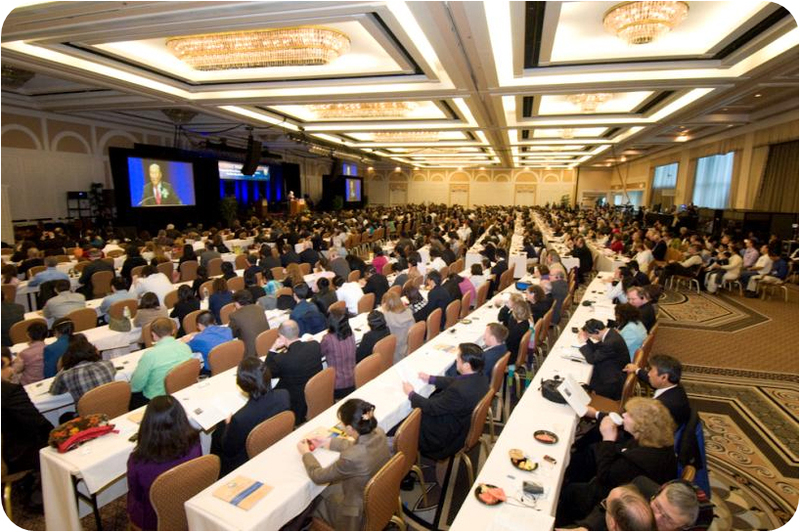 The summits raised over a million pounds for charity and attracted a worldwide audience of 1.3 billion people (one fifth of humanity) including print and media coverage. The keynote speakers for the first and second summit were Bill Clinton, former US President and Al Gore, former US vice-President, and recipient of the Nobel Peace Prize 2007. 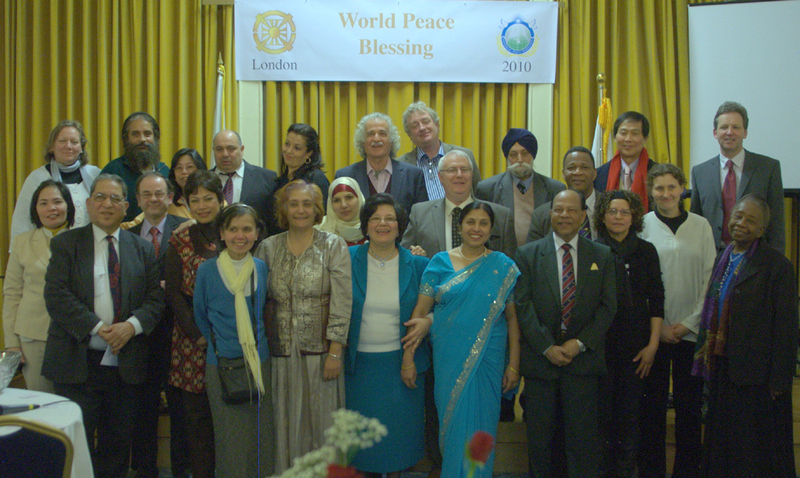 The guest speakers in 2008 were Ted Turner, Founder of CNN, Amritya Sen and Sir James Mirrlees both Nobel Prize winning Economists.Vijay Mehta has appeared in various TV programmes including BBC World, Press TV, Ajtak-24 hour Indian news channel, and Think Peace documentary, Canada, among others. The Sunday Times, Independent, Observer, Irish Times and Guardian newspapers, among other journals have written about him. His life is devoted to the service of peace, humanity and our planet. Photo link of the Beacons of the Light Event October 16th, 2009. Imam Dr Mamadou Bocoum praised Rev Dr Marcus Braybrooke’s scholarship in writing such a book covering so many significant spiritual figures and for his investment as his teacher in the Muslim College during his Masters course. He quoted, ‘there is one light and there are different flames coming from that light’. He mentioned that Abraham is the only prophet who became Haleel or the ‘ultimate friend of God’. He had to pay a heavy price to accomplish this title. Many other faiths want to take this person as their own faith’s exclusive founder or leading influence. This book reveals the claims and counterclaims on Abraham. Imam Bocuom also reflected on the words ‘wherever there is love there is God but not wherever there is God there is love’. Asked about those figures who are not included Rev. Braybrooke admitted that there are many more than one humndred figures mentioned but not as a separate section. In the end he said the criteria was how influential they were and after that there had to be some arbitrary selection. Please see below or here for the response of Mr Vijay Mehta to ‘Beacons of the Light’. Rajesh Ananda will guide a meditation and a discussion of the leadership of his spiritual Guru, the Gururaj Ananda Yogi, from whom he inherited his position and wisdom. Gururaj Ananda Yogi emerged as a spiritual master in South Africa at the same period as Nelson Mandela who is well known in the world. Gururaj was also struggling against apartheid although he was never jailed he was threatened on numerous occasions. Kindly RVSP to reserve your place. You cordially invited to attend an address and book launch by Rev. 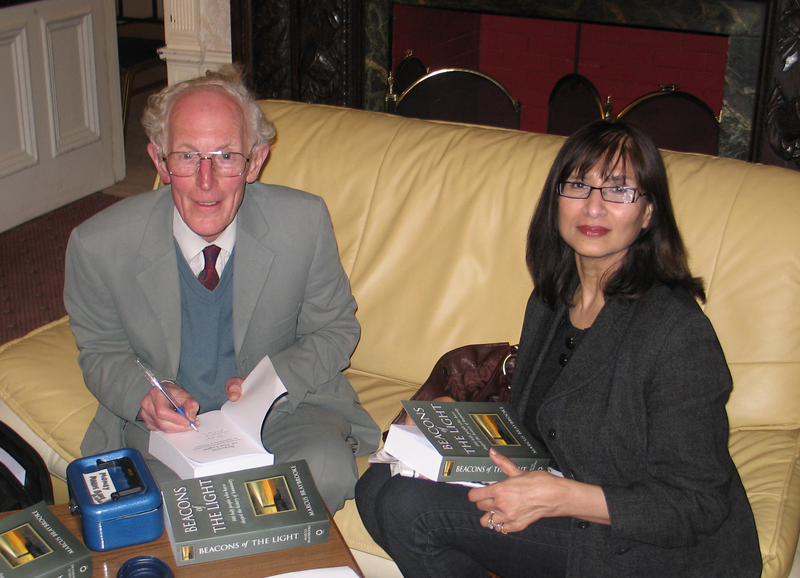 Dr. Marcus Braybrooke, entitled, ‘Beacons of The Light’ which introduces 100 of the world’s most influential spiritual teachers. 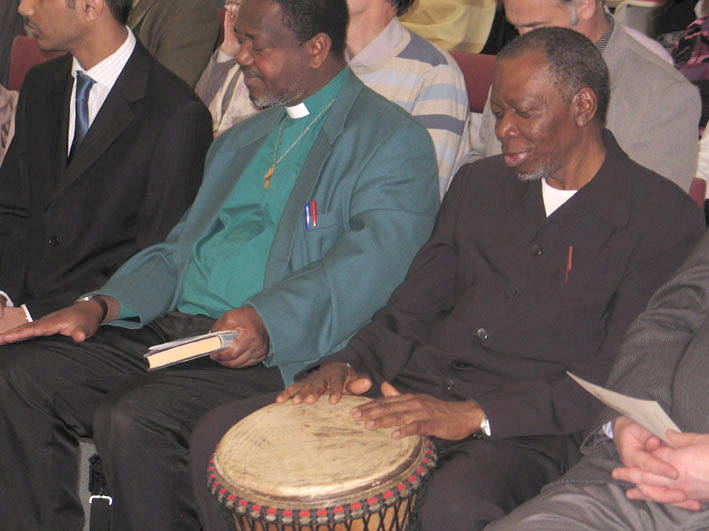 At 6.00 pm we will have a reception for those of you who wish to take time to speak to Rev. 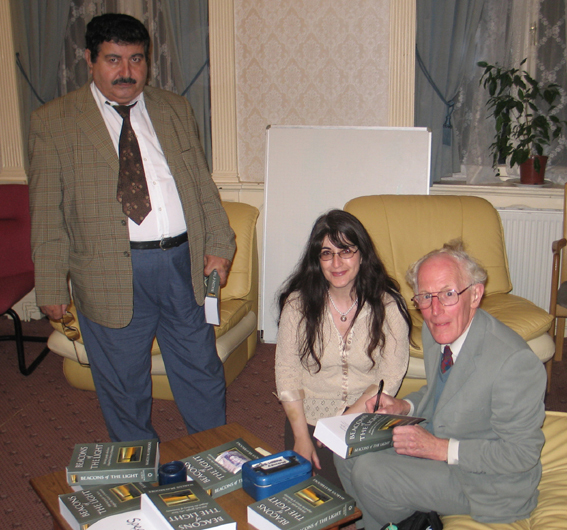 Dr. Marcus Braybrooke and when there will be a more relaxed and personal time for those who wish to have their books signed by him. It’s a book that should be on the shelf of anyone who wishes to understand the astonishing variety of ways in which religious faith has shaped the way human beings live and the way they think. 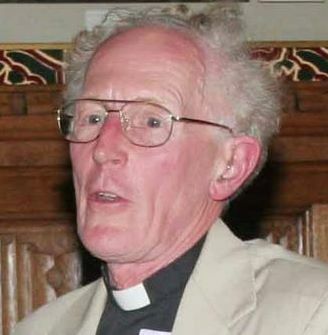 Canon David Winter, Former Head of BBC Religious Broadcasting. With his breadth of knowledge, enthusiasm, diligent work and sensitivity Marcus has become a beacon for others, including myself, to follow. 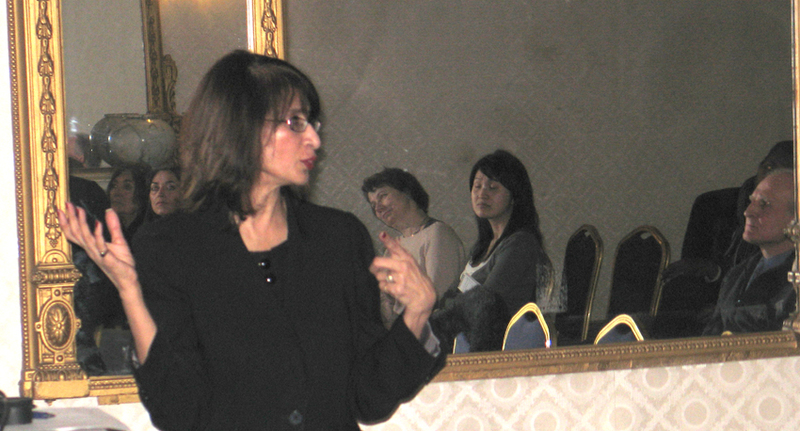 Rabbi Jackie Tabick, Chair of the World Congress of Faiths, London. Seeing the spiritual history of mankind through the eyes of wise elders from all cultures and religions reminds us of our common humanity and points the way to a peaceful future. After Dr Braybrooke’s talk we will have respondents from different faiths, then the floor will be open for comments and questions. He will be available later to sign books. Please let us know if you are able to attend so that a place is reserved for you. We look forward to seeing you. 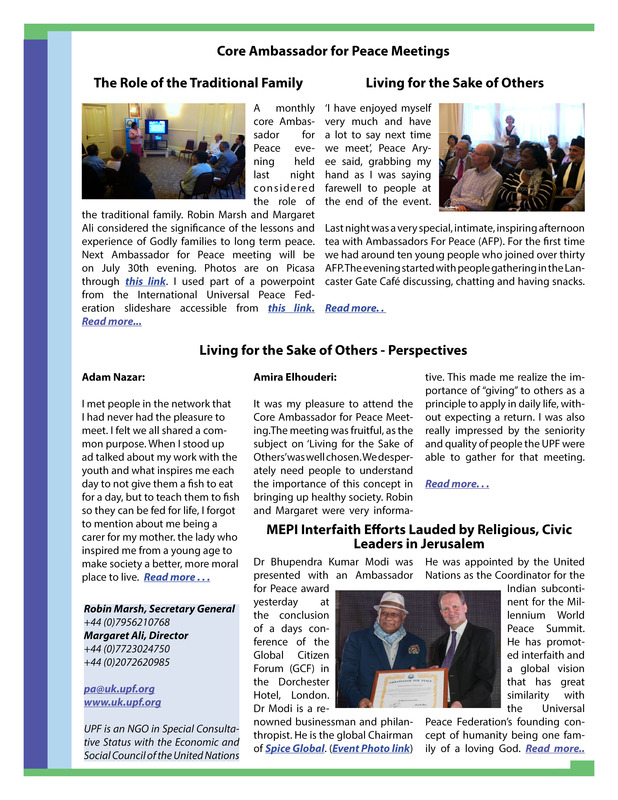 Follow the links for more about the Interfaith Committee or the Community CohesionChapter of UPF. CONTENT: Today we are inheritors of the wisdom of spiritual teachers of every religion, century and country – thanks to the work of many scholars and translators. Their messages, with significant cross-cultural harmonies, can still inspire us today and help us recognise the oneness of all human beings. Beacons of Light introduces 100 of the world’s most influential spiritual teachers – some like Jesus, the Buddha or Muhammad are well known; others like Rabia, Manikkavacakar, Guru Arjan Dev or Hildegard deserve to be better known. The story of their lives is clearly set in the historical and religious context of their time. A summary is given of their message and continuing influence. The author has dared to rank the 100 according to his personal assessment of their influence and challenges the reader to do the same and not just to absorb the information but also to reflect on the impact of the people discussed. The book is an invitation to the reader,as a citizen of the world, to claim his or her inheritance of spiritual riches. 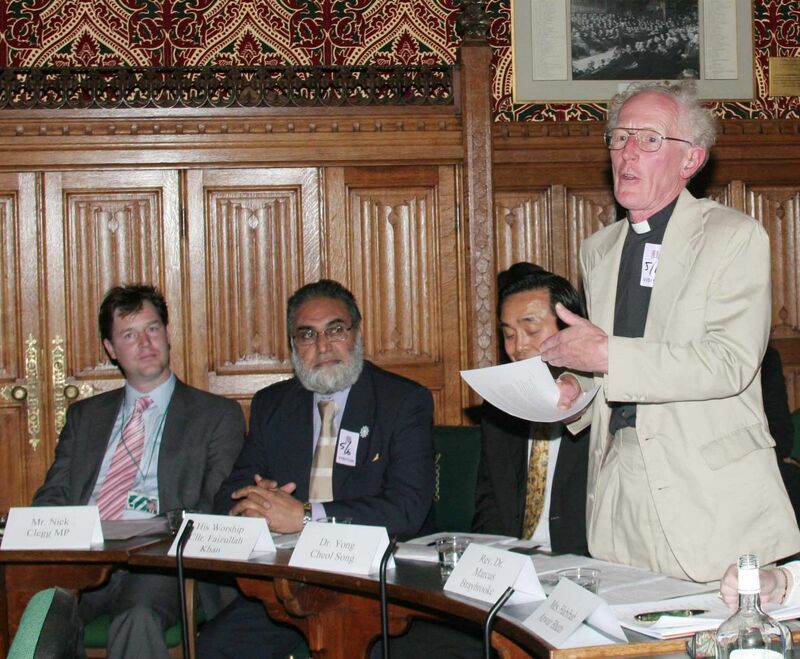 AUTHOR: Marcus Braybrooke has for forty years played a significant role in the growing worldwide interfaith movement. 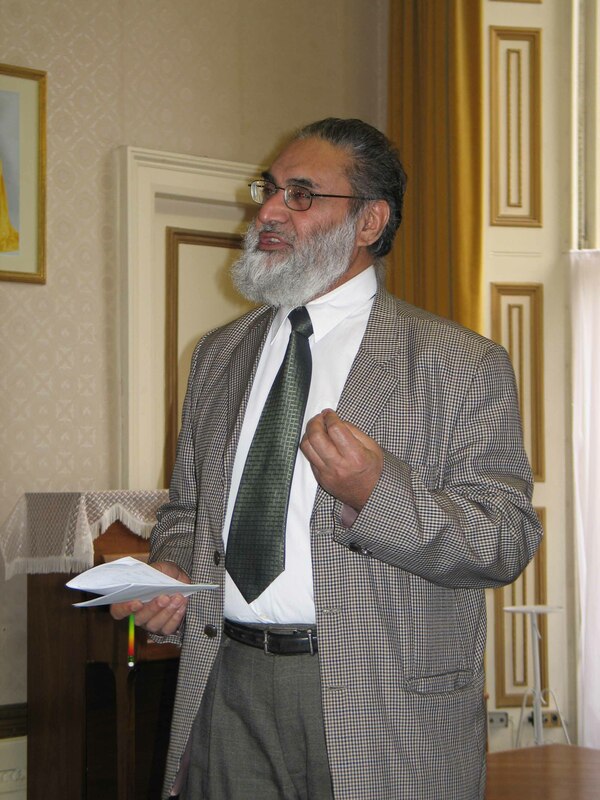 He is President of the World Congress of Faiths, Co-Founder of the Three Faiths Forum, a Peace Councillor and a Patron of the International Interfaith Centre at Oxford. 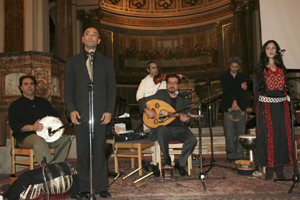 He has travelled widely to share in many interfaith gatherings. He is also the author of over forty books on religion and prayer, including 1,000 World Prayers and A Heart for the World (both O Books). 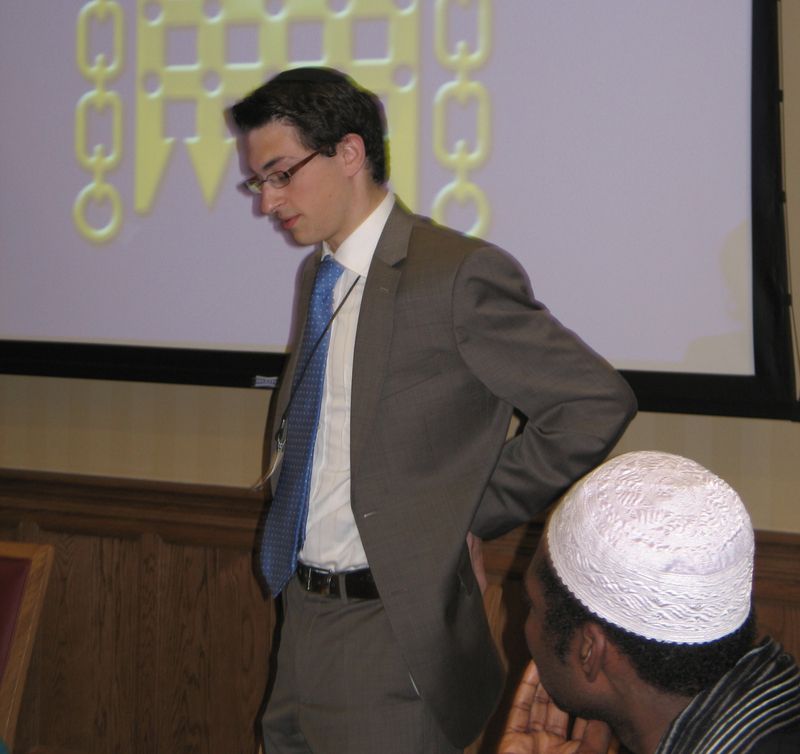 Held under the auspices of the Interfaith Committee as a monthly event, the first meeting went well last night. 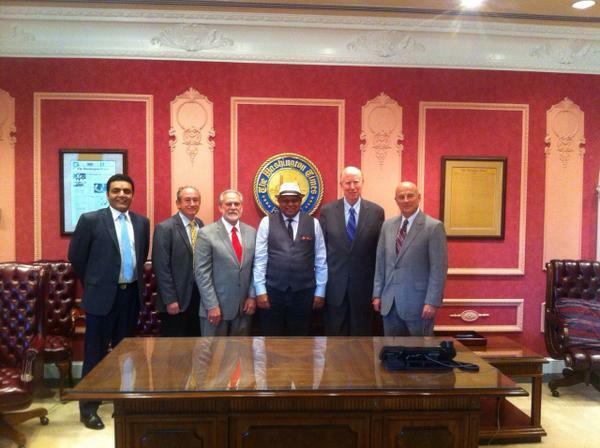 There was a guided meditation and discussion led by Dr. Amarjeet-singh Bhamra. This was a good opportunity to find peace of mind after our busy working day. This was followed by a talk on the life and significance of Mansur al-Hallaj, the Sufi thinker who was executed for his controversial statements in 922 in Baghdad. Both sections developed into a profound discussion about the experience of divinity. The inner experience of great religious and spiritual leaders has led them to pioneer movements of revival that have profoundly influenced civilisations even if they were inconvenient or unpopular at the time. The ecstatic intoxication of Mansur al-Hallaj spurred him to witness to others about his experience which shocked the religious and political leadership of the time. The inner experience of meditation based some of the oldest known religious scriptures has enabled the exploration of the relationship of mind, body and soul that have challenged our concepts of human limitations. ‘Spirituality is becoming popular. Even sociologists have become spiritual!’ said Professor Ursula King while discussing her latest book, ‘The Search for Spirituality: Our Global Quest for Meaning and Fulfillment’. She referred to a cultural vision of spiritual oneness beyond diversity of race, nationality and religion that is evolving within the human species. It is an evolution that was not discussed by Darwin but it is happening nevertheless. Gustav Jung referred to a coming together of the interconnectedness of humanity. 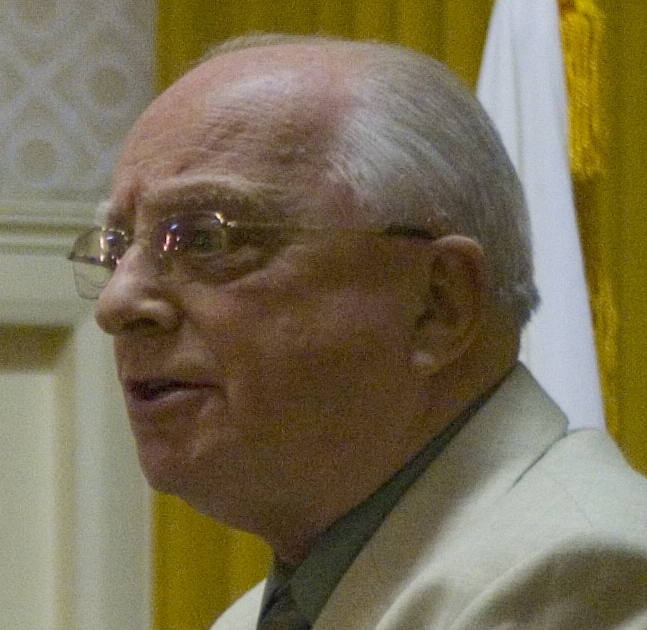 Prof. King defined spirituality in terms of the web of life, through the relationship to oneself, to others, to the environment and the Divine Spirit, Creator or God. The growing edge of spirituality, she explained, was not under our control and therefore is full of mystery as we pass through the stages of our life. We need to educate children about spirituality because we need to know how to allow our spirit to flourish throughout the ‘dance of life’. 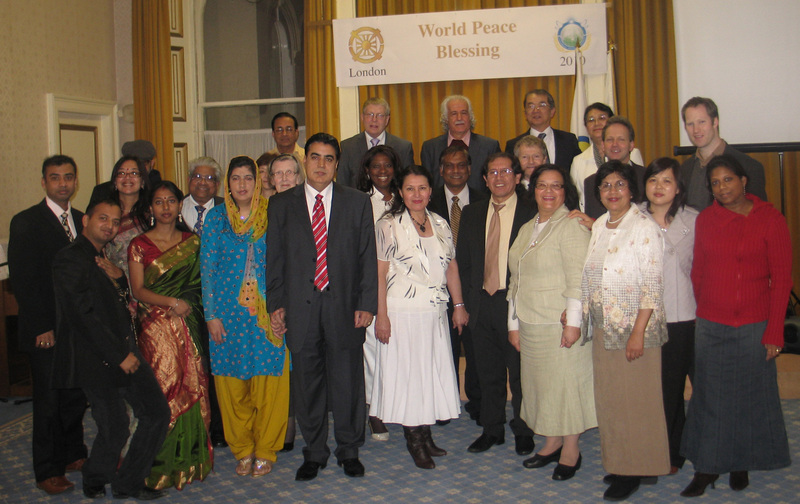 Interfaith dialogue can enable a person to discover the spirituality within another faith. This can help us to develop both spiritual literacy and the awareness that we have great resources within us. 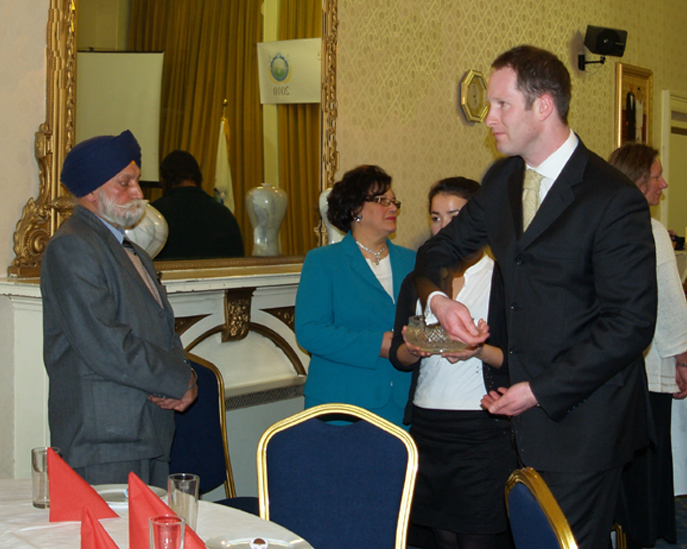 Mr. Jay Lakhani, the Education Director of the Hindu Council UK, suggested that there is close link between science and spirituality becoming visible at the growing-edge of science. Quantum Physics for example is clearly suggesting that the underpinning to this creation is not matter but something that is guaranteed not to be matter. What is it? Hinduism has been claiming that the underpinning to this universe and ourselves is essentially the Spirit. First it manifests as matter then it becomes more visible as living things and clearest vision of spirit is Men and Women. This is called Spiritual Humanism. For more photos click here. 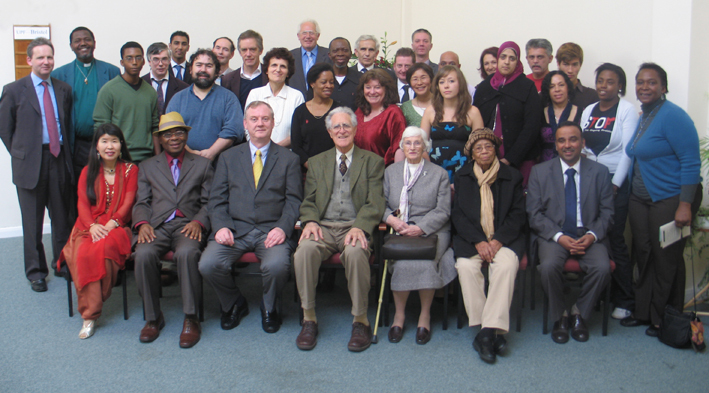 Follow the link for more about the UPF Interfaith Committee.